Robert LeRoy Parker AKA Butch Cassidy was a born and raised Utah mormon rancher who happened to turn a bad leaf and soon become one of the west’s most notorious outlaws. Butch and his gang of outlaws ran the Outlaw Trail from Montana to Mexico in the 19th century, robbing banks and trains in their quest to riches. They hid out amongst Utah’s many slot canyon mazes and vast obscure landscapes. With the help of locals, they were able to get food, water and rest and allude law enforcement by having locals provide misleading information on the gang. 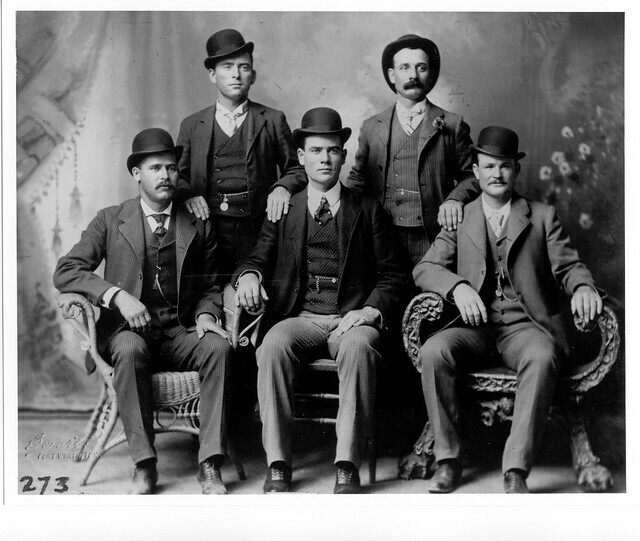 Butch Cassidy and The Wild Bunch made off with lofty amounts of money from each of their heists. Eventually as the west grew more populated and law enforcement more organized, Butch and Harry Longabaugh AKA the Sundance Kid escaped into South America where they continued to rob banks and eventually their trail disappeared. To this day it is hard to tell fact from fiction as to when and how Butch and Sundance died. Some say they died in a shootout with Bolivian officers, some say Butch managed to escape and make it back into the US and live a normal life under a alias. Some evidence points to his return, but the story is still a mystery. Looking for some winter fun in Bryce Canyon? Ruby’s Inn has a wide variety of winter activities. Visit Ruby’s Inn Winter Activities page for a full list. In winter this high plateau offers the most reliable snow and longest season in the southwest United States. Its hills and valleys provide the ultimate in diverse terrain and scenic beauty. Bryce Canyon National Park and the surrounding areas are often forgotten about during the winter months. This is actually one of the best times of year to several things including photography, Snowmobiling, Cross Country Skiing, Ice Skating, and Ice Fishing. There is a long list of very exciting and enjoyable activities that take place all winter long in the City of Bryce. With the Paunsuagunt Plateau reaching up to 9,000 feet (2,800 m) the average snowfall is around 200”s. This gives way to Great Snowmobiling and other winter activities. There is a lot of open snow covered ground, groomed trails just outside of the Bryce Canyon National Park gate, to where you can take off on Skis, Snowshoes or snowmobiles. Ruby’s Inn Ice Skating is another great winter activity to think about when visiting Bryce Canyon in the winter months. Their skating ring (in the City of Bryce) is maintained for guests and people visiting the area. It is always a great time with the family and fun activity in the outdoors. Where its one of your past times or you have never been on skates everyone is welcome to give it a try! Ice Fishing is another great opportunity to get out and enjoy the beauty of Bryce and the surrounding areas. There are many lakes close by that give opportunity for great ice fishing including; Panguitch Lake, Otter Creek, Tropic Reservoir, and many more. These lake are generally stalked all spring summer and fall with different kinds of trout. https://www.brycecanyon.com/wp-content/uploads/2017/09/bryce-canyon-logo-Y-W-min.png 0 0 olwm https://www.brycecanyon.com/wp-content/uploads/2017/09/bryce-canyon-logo-Y-W-min.png olwm2016-10-31 22:53:462016-10-31 22:53:46Happy Halloween!